Product is made of glass base and decorated beautifully with colorful decorative materials. It can be used for ring ceremony. Decorative and unique engagement ring trays are the current trend in the engagement ceremony. Used on the special day, these uniquely decorated ring platters are sure to wow the guests. 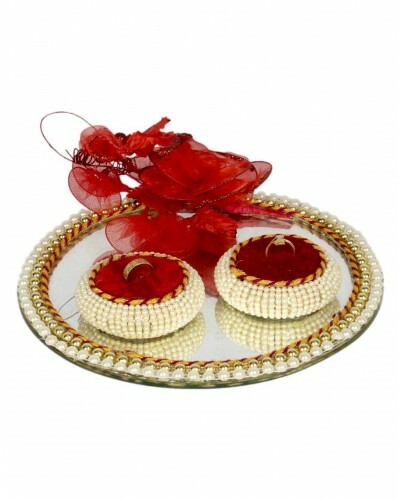 Decorated in a mix of white and red on top of a mirror, this is sure to be a hit during the engagement ceremony.